The Hilton Garden Inn has recently introduced the first interactive training game for the hospitality industry (please find also my prior posting Serious Games For Hospitality Training). 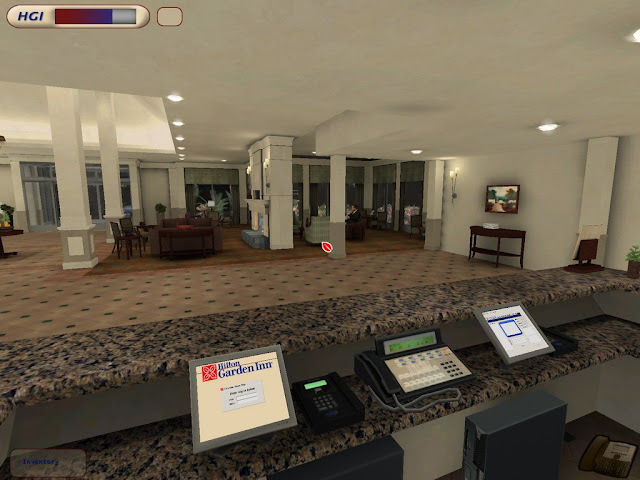 Ultimate Team Play, created by Virtual Heroes, Inc, places employees in a virtual hotel interfacing with customers fielding typical guest requests. Players' responses are then evaluated and rated based on Hilton's Satisfaction and Loyalty Tracking system. Ultimate Team Play is to be beta tested by about 20 properties this summer in anticipation of a global brand release early next year. The first-person perspective game places hotel staffers into one of four roles—front desk associate, F&B employee, housekeeper or maintenance worker—and presents them with realistic guest-service scenarios. Front desk workers, for example, may be tasked with interacting with an irate guest while simultaneously juggling phone calls. 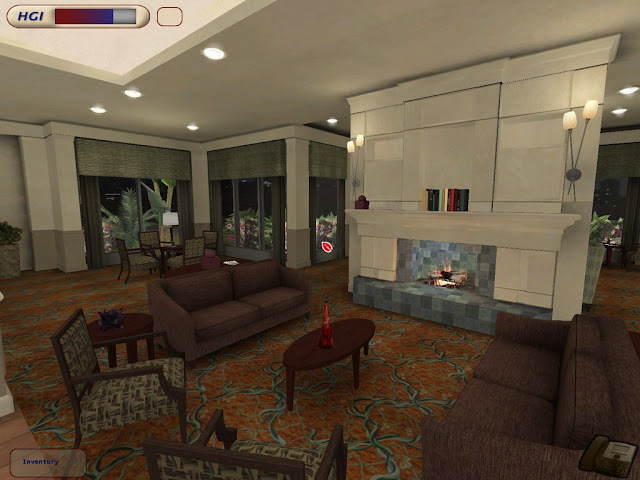 Players can move their characters at will around a three-dimensional virtual replication of a typical Garden Inn property, with a multitude of options for interacting with guests and attending to tasks. 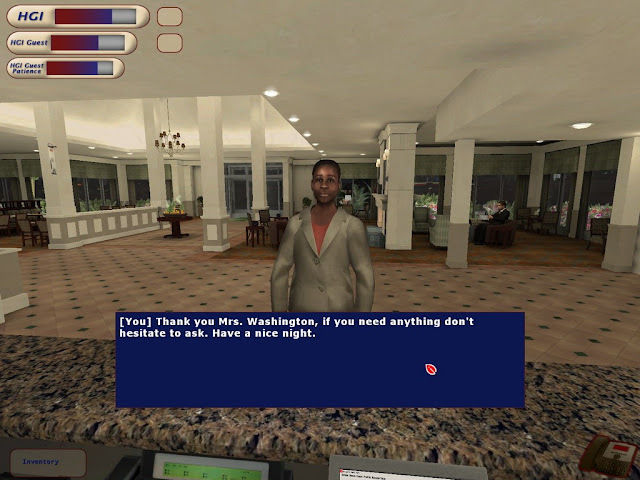 Scenarios and optimal character interactions were built into the game using guest survey responses and input from actual hotel staff members. 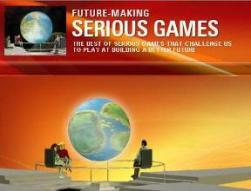 The correct course of action throughout the game is not always entirely obvious—designers sought to give the scenarios enough nuance that “they are not so easy that a child can just go up there and get the best possible scores”. David Kervella, Garden Inn’s senior brand education manager, estimates the game is deep enough for one hour of unique play for each of the four staff roles. The game will have minor variations depending on region to account for cultural differences. Ultimate Team Play is a fairly enjoyable game—especially considering that it simulates work, after all—but its real value is as a training tool. 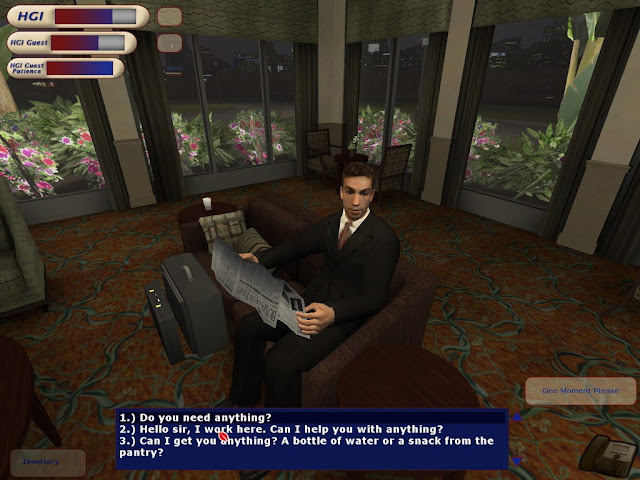 Whereas a commercial role-playing video game might have meters measuring things like a player’s current health or stamina, this game measures guest happiness and the hotel’s overall approval ratings, as judged by Hilton Hotels Corp.’s real-life Satisfaction and Loyalty Tracking scores, or SALT scores. Including SALT scores emphasizes that no matter what role an employee may have in a hotel, each person has an impact on the overall hotel experience. 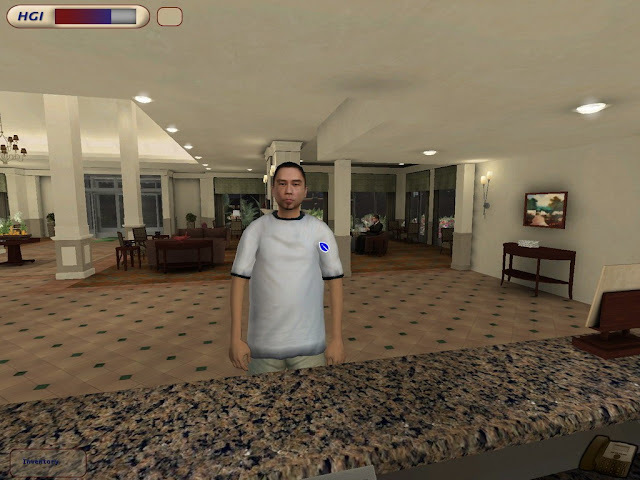 The game devises SALT scores based on how quickly, politely and correctly the player responds to a guest’s needs. 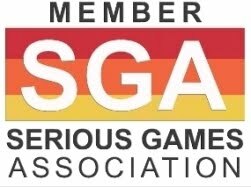 In using SALT scores as a measure of a player’s success, the game reinforces employee best practices while providing competitive incentive for workers to keep playing, in an effort to better their coworkers’ scores. If Ultimate Team Play catches on, this could be a boon for guest service education—a training session in which employees are not only willing, but eager, to partake. Unlike most other components of the Garden Inn training process, Ultimate Team Play will be optional and will not be considered as part of performance reviews. It will be up to property management to determine when and where hotel staff may play the game, but Kurre envisions employees playing in the hotels’ business centers during breaks or slow periods. 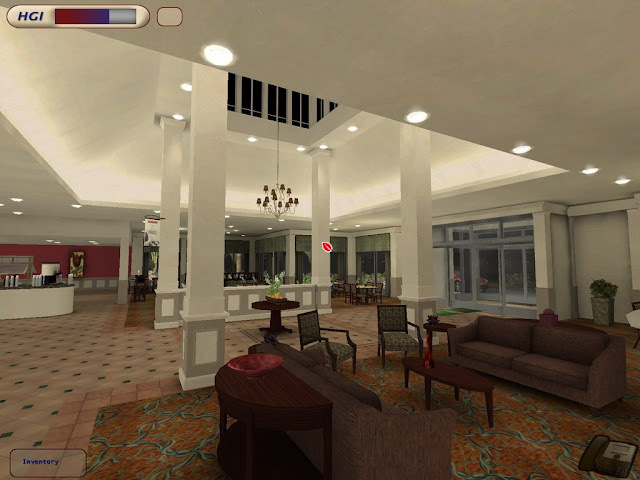 While not as graphically interactive as a true video game, Marriott International has used a computer program called Business Acumen since 2002 to train its non-U.S. property-level managers on the finer points of running a hotel. The Marriott software simulates hotel operations scenarios, asking managers to make budgetary decisions based on theoretical competitive market conditions and economic demands. General managers and employees identified as future GMs at Marriott properties outside the United States and Canada, excluding the Ritz-Carlton and Marriott Vacation Club brands, attend four-day seminars centered around the Business Acumen simulator. The GMs work in teams, debating the correct course of action for their simulated hotels. “You have tactical and philosophical questions about how the money should be invested and how the hotel should be positioned for the business market or the leisure market or both,” explains Pam Jones, Marriott’s vice president of international training, organization and development. For instance, a player in the simulation might decide to renovate guestrooms to raise rates. But if too much is spent on the renovation, the hotel risks pricing itself out of the competitive market. Such a scenario could play out in the Business Acumen simulation—far preferable to it playing out in real life. The Marriott simulation is a valuable primer for new general managers in that it forces them to think analytically about a hotel’s needs and strategic concerns within the confines of budgetary constraints, says Chris Calabrese, general manager of JW Marriott Cancun Resort & Spa. Calabrese, a 15-year GM, calls Business Acumen balanced and realistic. “It really gives attendees the opportunity to operate a hotel in its entirety, in fast motion,” he says. “It gives you the opportunity to see what impact your actions have on the business and how those actions might impact the hotel operations.